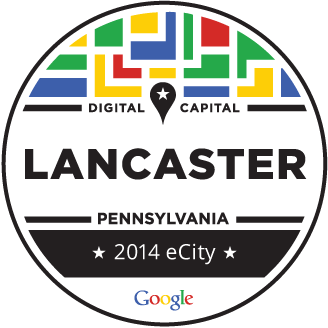 Lancaster, PA is a Google 2014 eCity Award Recipient | Sharp Innovations Blog | Sharp Innovations, Inc.
Each business was tallied based on these factors and their city was then issued a composite score, or a total of the scores of its businesses. Lancaster city scored highest among all cities in Pennsylvania, and was thus awarded the 2014 eCity honor. If you’d like to learn more about Google’s Economic Impact, or specifically the eCities award, you can visit Google’s website. As digital media continues its rapid expansion, awards like the eCity honor underscore the importance of going beyond just having a “presence” online by offering a great user experience on multiple levels, and across a variety of devices. Successful sites will also have an active social media presence, be up-to-date with a blog or news section, and be listed in directories that customers may be searching. With over 15 years of experience in the Internet marketing space, the team at Sharp Innovations can certainly help you improve in any of these areas. 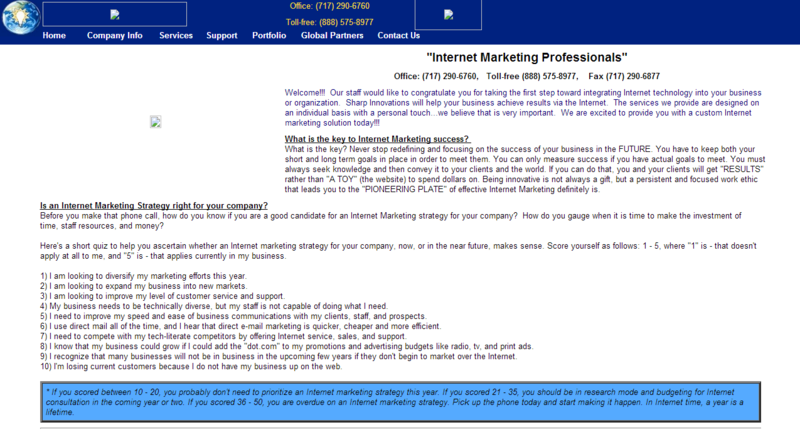 Simply contact us today for a free consultation and you’ll be on your way.